"When such a mega-catastrophe strikes, we will get our share of the losses and they will be big – very big." Famed investor Warren Buffett warned in his annual letter of a “megacatastrophe,” which he said will cause unprecedented havoc not just to victims but to the financial world as well. Beyond speculating that the the “big one” could be an extreme weather event or a massive cybersecurity breach, Buffett deferred specifics to the idea that the world needs to be prepared for a civilization-shaking catastrophe — except to argue that such a disaster is inevitable. 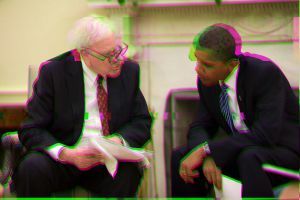 However, Buffett remained optimistic about Berkshire Hathaway’s outlook after disaster strikes.